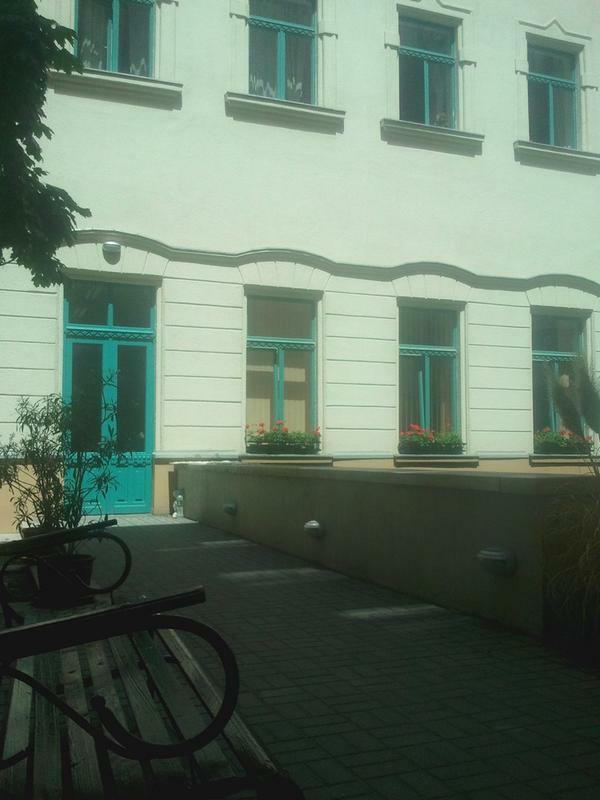 Horanszky Hostel is located in the walking area of the 8th district and city center, just one street away from the National Museum. Typical traditional hungarian restaurants are in the nearby, in Raday street (within 5 minutes walk). You can easily reach by walk the river bank, the main shopping street (Vaci street) and the famous Market Hall. We have 22 rooms with bathroom and free wifi internet access. Breakfast is up on request in the hostel's building. Horanszky Hostel has 18 twin rooms with bathroom ,2 twin rooms and 1 triple with shared bathroom ,2 triple rooms with bathroom and 1 quad with bathroom ,all rooms provided with bedsheets ,towels and free WIFI. You can have the breakfast and the lunch in the next door coffee shop in a very good price laundry is possible on extra charge ,on each floor is a common kitchen with fridge and a microwave no possibility for cooking. Around the hostel you can find a lot of supermarkets and non stop grocery stores ,restaurants and coffee shops ,only 10 minutes walk you will reach 2 shopping malls with cinemas and different kind of shops . From the Train Station you get on the bus 7 green 3 stops you get off and you cross the road and walk on Szentkiralyi street till is intersecting with Horanszky street and there you are . From the airport you get on the bus 200 till you reach the city and after switch with M3 metro line and you get off in Kalvin Ter and walk to the National Museum direction . From the International Bus Terminal just 4 stops by M3 you get off in Kalvin Ter and walk to the National Museum direction .